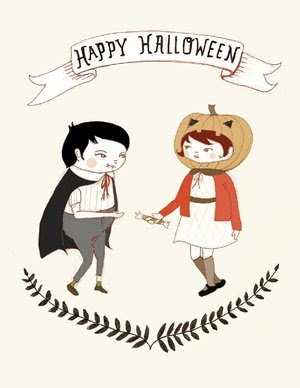 i came across this adorable, free downloadable halloween card from black apple. oh my god, it’s really cute! I love the Black Apple. I have a print called “Wolf Baby” in my kitchen and she always makes me smile.